Former Secretary of State Hillary Clinton is in talks with Columbia University to take on a formal role at the school. Multiple sources on Thursday told the New York Daily News that Clinton, a two-time failed presidential candidate, is also talking with Columbia about housing her archives at the Ivy League institution, the New York Daily News reported. The former law professor may take on the role of "University Professor," which would allow Clinton to lecture in multiple schools and departments without the requirement of a strict course load, a source told the Daily News. 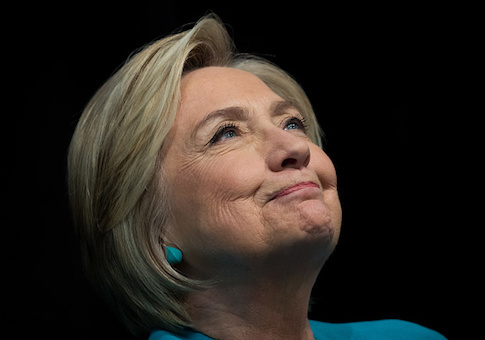 With this vague title, Clinton could potentially decide at a later date that she wants to settle in at Columbia's law school or the School of International and Public Affairs. "It's all fluid. It could be a number of things," a source said. "No decisions have been made, but there are talks. She's trying to figure out what she wants to do." The timetable of when Clinton will make a decision on whether to take a role at Columbia is unclear, but a source familiar with Clinton's thinking suggested it would be sooner rather than later. A university spokesman, as well as a top professor at Columbia, declined to provide comment on the matter to the Daily News. "It is premature for me to comment on this," Kenneth Prewitt, the Carnegie Professor of Public Affairs and Director of the Future of Scholarly Knowledge Project, said in an email to the Daily News. This entry was posted in Politics and tagged Hillary Clinton, University. Bookmark the permalink.